Australia’s first female prime minister, Welsh-born Julia Gillard, is awaiting her fate in the federal election but she is not the first non-native to achieve success in the country’s government. 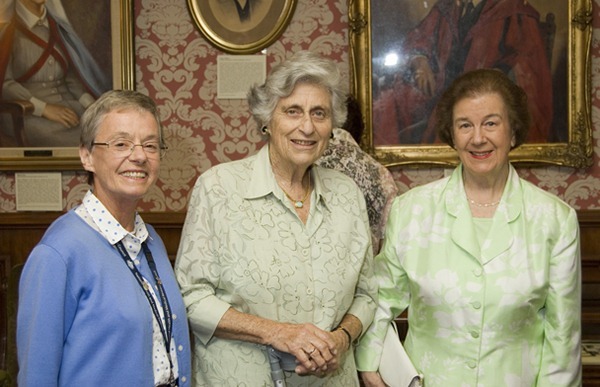 In 1975, Belfast-born Margaret Guilfoyle (pictured right, in 2008) became the first woman to run a government department. Guilfoyle was the first female Cabinet minister with a portfolio, when she became Education Minister in Malcolm Fraser’s government (November-December 1975). She was then appointed Minister for Social Security (1976-1980) and made history by becoming the first woman to hold an economic portfolio as Minister for Finance (1980-1983). Margaret McCartney was born on 15 May 1926. Her family then moved to Australia in 1928 and settled in Melbourne. She later married Stanley Martin Leslie Guilfoyle in 1952. She initially trained as an accountant and joined the Young Liberals in 1949; the Liberals are Australia’s main conservative party. Guilfoyle was elected to the Senate and represented Victoria from 1971 to 1987. On 31 December 1979 she was appointed a dame for her services to public and parliamentary service. Since leaving federal politics, she has had a prominent role in many non-political organisations, especially at the Royal Melbourne, one of Australia’s leading hospitals.